A consortium of 36 Chinese environmental groups has published a report (Chinese, PDF) that ranks Apple last among 29 multinational companies in terms of dealing with the environmental impact of its operations in China as well as the environmental impact of its activities. Among the issues the groups tried to raise with Apple is an incident were 49 workers were exposed to toxins at Lianjian Technologies, a subsidiary of Wintek that makes touchscreens used in Apple devices. According to the report, Apple failed to respond to most inquiries about worker health or environmental matters, and would only occasionally respond that it could neither confirm nor deny that a particular company was one of its suppliers. The metrics of the report are based on companies’ responsiveness to issues raised by the groups; the report cites Vodafone, Samsung, Toshiba, Sharp, Hitachi, HP, Altatel-Lucent, and BT as examples of companies that responded quickly to the groups’ inquiries and took some steps to improve oversight at suppliers or alter their practices. However, Apple wasn’t the only company to take heat: the report also singles out SingTel, LG, Ericsson, and Nokia as being unresponsive and not taking any actions to correct problems. Apple has previously been criticized for working conditions at Foxconn after a series of employee suicides earlier this year, including a worker who committed suicide after reported mistreatment and beatings over a lost iPhone 4 prototype. A few years ago, Apple stepped up its supervision and inspections of Chinese suppliers after reports of poor living and working conditions at Foxconn. The incident at LianJian took place in 2009; according to reports in Chinese media, 49 workers were hospitalized for exposure to the cleaning agent n-hexane; that number was later increased to 62. According to reports by the Australian Broadcasting Corporation, several women involved in the incident claimed to have been exposed making components for Apple’s iPhone, and were hospitalized for over six months. Apple has had no official comment on the report, but in a statement distributed via email an Apple spokesperson noted Apple “is committed to ensuring the highest standards of social responsibility” throughout its supply chain. 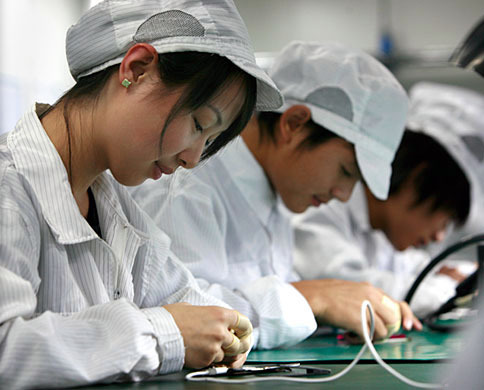 The company’s published 2010 report on supplier responsibility (PDF) says Apple conducted audits of 102 supplier facilities in 2009 and had uncovered a number of issues, including use of underage workers, employees exceeding allowed work limits, improper disposal of hazardous waste, and falsified records.